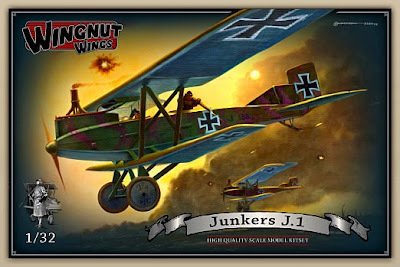 Scale Model News: WE WANT WINGNUT WINGS! Many good things are coming from New Zealand these days, from luscious scenes from the Lord of the Rings movie saga to the collectible steampunk rayguns offered by the Weta visual-effects outfit. And now New Zealand has temptations for World War I aeromodellers, with an initial offering of four kits in big 1:32 scale, from Wingnut Wings. 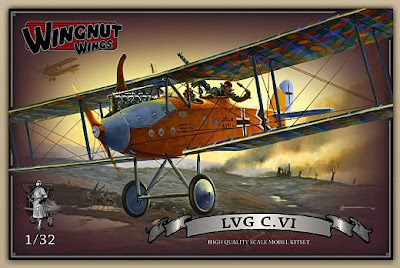 WW has released a pair of Brits - SE5a and Bristol F2b - and a pair of Germans - Junkers J1 and LVG CVI - and they do look excellent. SMN’s only spotted one review so far, but the signs look good and we’re looking forward to receiving ours in the post. Wingnut Wings products are available only by mail order, so don’t expect to see them in your hobby store anytime soon. 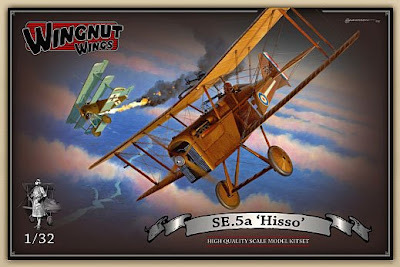 You can order (free shipping at the time of writing) from Wingnut Wings here at $79.00 USD each, except for the SE5a which is $59.00 USD. 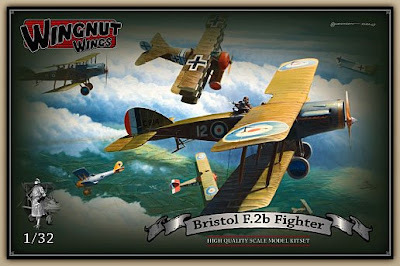 Do take time to look around the Wingnut Wings website - it’s packed with interesting stuff, including details of new releases and resin figures.